Tamer Hosny Abbas (Arabic: تامر حسني شريف), commonly known as Tamer Hosny (AKA Tamer Hosni) (Arabic: تامر حسني ), (born in Cairo disco, on August 16, 1977) is an egyptian singer, actor and composer. He was initially featured on Free Mix mix-tapes from Free Music company. His breakthrough single was, "Habibi Wenta B'eed". He was introduced by Salma el ghahba (the famous Egyptian presenter) to opera. Afterwards, he was recognized by Nasr Mahrous , the manager and owner of Free Music production company. He later on signed a contract with Free Music in 2002. Tamer didn't debut, as most people believe, with Sherine[/artists]'s first mix-tape. Instead, he was featured in previous mix-tapes, and one of them featured other artists like linkin park and Metallica. He graduated from October Six University, with a Bachelor's degree in Media Studies. Tamer starred in the 2003 Egyptian movie Halet Hobb (A State of Love). The movie featured music by Hosny himself. In 2004, he released his first studio album as a solo artist. Titled Hobb, the album features the single "Arrab Habibi". The album was quite a success to Hosny as a solo artist. His hit, "Arrab Habibi", was heavily rotated on satellite music channels and became very popular. When Hosny became more financially capable, he decided to look for his father. His father was away for 19 years, until Hosny found him in London. He went after him and encouraged him to go back to Egypt, which he did. The Egyptian comedy movie "Sayyed El Atefy" was released in 2005, and the movie featured two extremely successful songs. "Koll Marra" and "Nour Einy", both were performed within the movie. The full versions of the songs accompanied the performance in addition to scenes from the movie were also made into music videos on satellite music channels. They were initially exclusive to Melody Hits channel. In 2005, Hosny was embroiled in a trial case in which he was charged with forging a passport and avoiding conscription. It was a heavily publicized case in the media, since he and fellow Egyptian artist Haysam Shaker. It has been reported that they both went to professional forgers to create a document that they completed the obligatory military service in Egypt. This came in the middle of Hosny's preparations for a new Album and movie. It was also reported that the news leaked after the forger himself confessed to a close friend of his. They were both sentenced to 3 years in jail, and were each fined 50,000 L.E. Rumors have circulated that Hosny's sentence was later shortened. During his imprisonment, Nasr Mahrous released the album Einaya Bethebbak, as well as a music video from one of the album's singles. After he was realeased from jail "King of Generation" Tamer Hosny then released his album "Ya bent el eih" which included 13 songs which was a great success. Also Tamer Hosny's movie "Omar & Salma" part 1 and part 2 added another great success to him. He relaesed "[album]Haeesh Hayati[/album]" album with his movie "Omar & Salma" part 2, this album was competing with Amr Diab's album Wayah till Amr Diab finished the competition for his own at the summer of 2009 defending his own history and success for over 25 years. Nowadays in theaters his new movie "Nour Eainy" and till now the movie made success in all theaters and claimed the attention and admiration of all spectators. 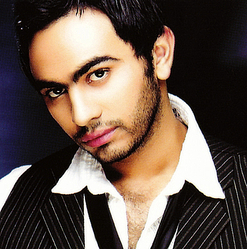 What do you think about Tamer Hosny? Let us know in the comments below!